GIVEWAY !!! 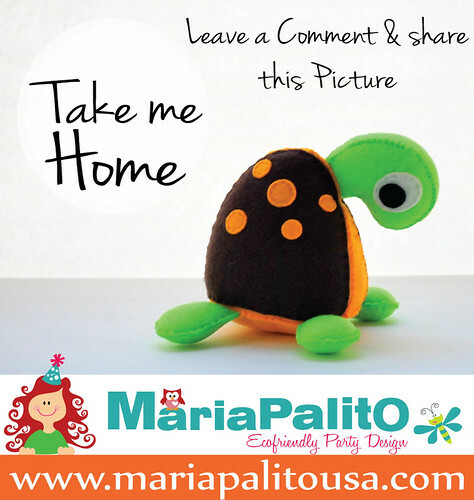 Win a Eco-friendly Felt Turtle plush toy ! You can win this original toy !! To enter simply comment on this post and share the picture !!! You can gain extra entries by re-blogging on any other social media type site. I’ll be choosing the winner on June 1st. Only for USA residents.